*I do not carry a flag or use a megaphone. This is a walking lecture that points out many spots to take photographs and the proper etiquette when walking through the geisha districts. 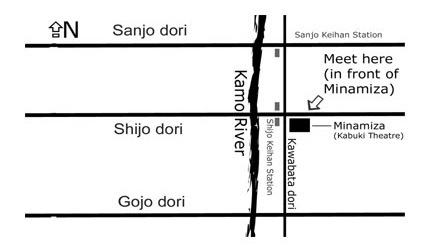 Meet in front of the Minamiza Kabuki Theater (map). 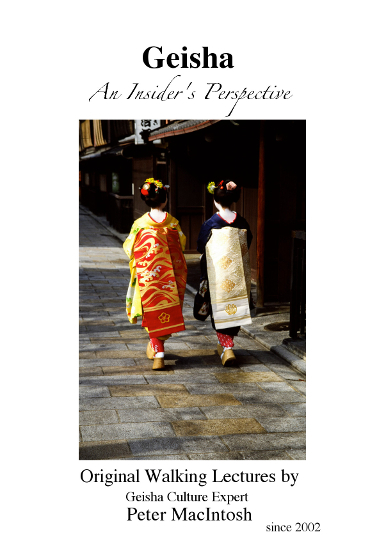 Peter MacIntosh is a professional photographer and world-leading expert on geisha culture. His photographs of geisha have been exhibited around the world and is the director of the 2009 documentary "Real Geisha Real Women". His photographs have been used by the Japan National Tourist Association for their international promotion of Japan. He has been lecturing on geisha culture at a Japanese university since 2008 and MCed for many international events. As well as working as a location scout for Hollywood's "Memoirs of a Geisha" he was the first non-Japanese to take geisha abroad without the use of a native Japanese intermediary. 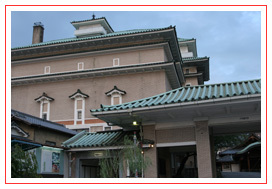 You will see geisha schools, ochaya, okiya and traditional artisan’s shops. There are some great photo opportunities, so don't forget your camera. Price: 3,000 yen per person. Included in this fee is a set of postcards and a chance to ask Peter questions about photography and geisha culture. The walking lecture points out many spots to take photographs in addition to the proper etiquette when walking through the geisha districts. Important: In the event of rain after 2-3 pm, the walk will be called off and re-scheduled for the next day. In our past experience, nobody enjoys getting wet and photo oppurtunities are limited, so please call or send an email to re-schedule. You will see beautiful alleyways and architecture, the geisha schools, ochaya (tea houses), and okiya (boarding houses). We worked with the Memoirs of a Geisha production crew during location scouting. Along the way you will see exactly what they saw, and you will learn more in the 90 minutes about geisha than even most Japanese people know. 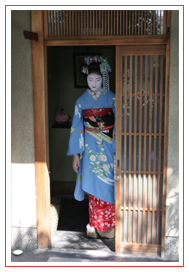 Peter MacIntosh is a world renowned foreign expert on geisha culture. 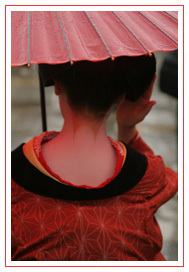 We will tell you about the history and culture of geisha, as well as his personal experiences about geisha in general. Please feel free to ask many questions on the walk. 1. Peter is available to do a walking lecture all days except Sundays. (In the event of rain it will be held the next day but you need to contact us to reschedule your booking). 2. Send an email reservation with your name, number of persons, and request date to ksnwalks@gmail.com. Photos are fine. There is some beautiful architecture and charming narrow streets along the way. If we are lucky enough to see a maiko or geiko do not run after them or get in the way. These women are working and probably on the way to an engagement where geisha elders or customers are waiting. They are usually fine with pictures while they are walking by. However, if they look like they don't want their photo taken, please don't. I know most of the women in the districts and if they have time they will probably stop for a very quick photo. Always remember that we are walking down streets. Therefore bicycles and scooters and sometimes even cars will be passing. There is a minimum of 2 people for the lecture to take place. In busy season, such as April, the group size can reach its maximum size of 15. So make sure to reconfirm your reservation. Q: Will I see a geisha? What's the best time of year? Important: Even though we meet in front of the Minamiza theater, they are not responsible for contacting me. If there is a problem, or you are worried that you are not in the right place, please use the pay phone to the right of the theater near the vending machines. You will be calling my cell phone so a 10 yen coin will not provide sufficient time to have a conversation. 100 yen should suffice.